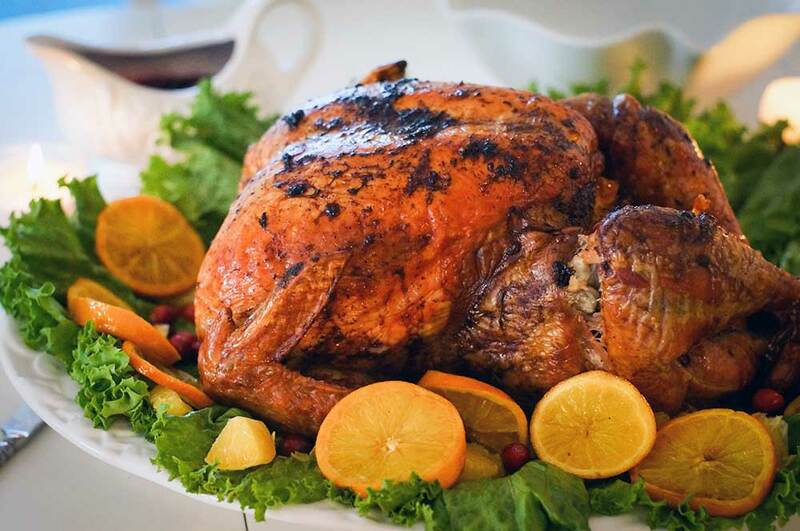 Allergy-Free Thanksgiving: Helpful Tips and a Delicious Recipe! Thanksgiving is right around the corner, and you know what that means, delicious food and family. What could be better? The biggest danger of Thanksgiving for most people is the inevitable “food coma,” but for others, the consequences could be much more severe. For individuals who suffer from food allergies, Thanksgiving could go from fun to scary in a matter of moments. Unfortunately, some of the top culprits are often present in many of the foods we serve for Thanksgiving. That’s why it’s important to have an allergy-free Thanksgiving if you or any of your guests suffer from food allergies. Even though these ingredients are commonly used in Thanksgiving recipes, there are ways to forgo these ingredients and still have a delicious, memorable Thanksgiving. If you want to have a Thanksgiving to remember that is safe for your guests, check out these helpful tips that can help you have an allergy-free Thanksgiving. 1. Know your guests. Before you begin, talk to each and every one of your guests so you can find out more about their dietary restrictions. Make a note of everyone’s food allergies and intolerances, so you know what you are working with. Knowing this information can help you safely plan out the Thanksgiving menu. 2. Use the internet as your guide. You can find a wealth of information online that will assist in ensuring you have an allergy-free Thanksgiving. You can get advice and tips, as well as discover a variety of recipes. Courtesy of the internet, you can check out recipes for all dietary restrictions. Just don’t get too lost in this step. We know with so many delicious recipes at your fingertips it can be hard to choose! 3. When you are choosing your ingredients, make sure you read all of the labels before you buy or use a product. It’s better to be safe, especially because it is not always obvious that a particular product contains allergens. Make sure you read through the ingredient list carefully and look for products that carry the certification seal (i.e. gluten-free certification) to be on the safe side. If a person’s allergies are life-threatening, call the manufacturer and address any concerns before consumption. 4. Know that there are substitutes available for every allergen. The best part is many people will not realize that you used substitutes in the recipe. For example, bananas and applesauce are an excellent alternative to eggs. Instead of milk, you can use coconut milk or rice milk in the recipe. There are even vegan spreads available that act like butter, but does not contain any dairy, soy, or gluten. Since food is the focal point of Thanksgiving, we wanted to share with you a delicious recipe to help you get started. Check out this delicious allergen-free stuffing recipe to make your Thanksgiving complete! 1. Grease a baking sheet and preheat the oven to 300° F.
2. Cut bread into ½ inch cubes. Place on baking sheet in a single layer, and do not stack. Toast bread cubes in oven for 45 minutes. Make sure to turn the bread cubes every 15 minutes to ensure they brown evenly. 4. In a sauté pan, heat up the olive oil over medium heat. Add in the carrots, onions, shallots, and celery to the pan and sauté until they are tender. 5. Stir in the salt, pepper, thyme, and sage for two minutes, and then add the white wine. Cook until the wine is reduced by at least half. 6. Get a large bowl and mix in the vegetable mixture and the toasted bread cubes. 7. Add and stir in the chicken broth until the bread cubes are evenly saturated. 8. Transfer mixture to a baking dish. Bake at 325° F for 20-25 minutes.